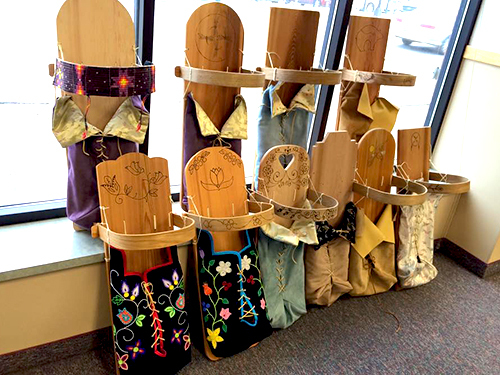 The Fond du Lac Tribal and Community College in Cloquet, Minn. was honored with a Bronze Medallion award for excellence in public relations, marketing, and communication in the 2017 National Council for Marketing and Public Relations District 5 Medallion Awards competition. The Bronze Medallion of Excellence award in the College Promotional Brand Video category recognized the college’s video about the First Responder and Emergency Medical Technician courses offered at the college. 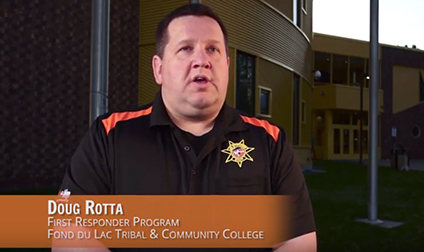 The video features Fond du Lac Tribal and Community College students and faculty talking about advantages of the courses and shows students in hands-on situations practicing emergency first responder techniques. 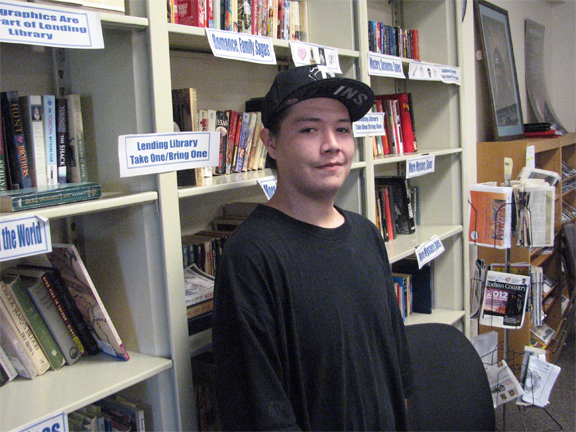 Fond du Lac Tribal and Community College Public Information Director Tom Urbanski worked with Fond du Lac Tribal and Community College graduate Chris Brown of Cloquet to create, plan, film, and edit the award-winning video into its final form. Brown has worked on about 25 recent video projects for the college, helping build a collection of promotional videos across a range of programs and topics. The regional Medallion Awards recognize outstanding achievement in marketing communication at community and technical colleges in NCMPR District 5, which includes Iowa, Kansas, Minnesota, Missouri, Nebraska, North Dakota, South Dakota, the Canadian province of Manitoba, Puerto Rico, and Virgin Islands. It is the only competition of its kind that honors excellence exclusively among marketing and public relations professionals at two-year colleges. There were over 300 entries submitted across 31 categories in the 2017 NCMPR District 5 Medallion Awards competition. The video categories are some of the most competitive categories and receive the largest number of entries each year. The Bronze Medallion of Excellence award-winning video can be seen at: www.youtube.com/watch?v=ehObZTEwC7o. Bill Blackwell, Jr., the executive director of Bemidji State University’s American Indian Resource Center, received the Distinguished Diversity Leadership Award from the Minnesota State colleges and university’s Academic and Student Affairs division. 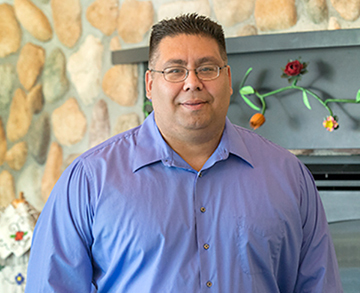 Blackwell (Grand Portage Ojibwe) was named AIRC executive director in June 2015. He has helped develop programming and support services that have impacted BSU’s retention rates for American Indian students, which has increased to nearly 84 percent. Under his leadership, BSU has developed a series of dual-enrollment agreements with Fond du Lac, Leech Lake, Red Lake and White Earth tribal colleges, granting students at those colleges automatic admission into BSU after meeting certain requirements.